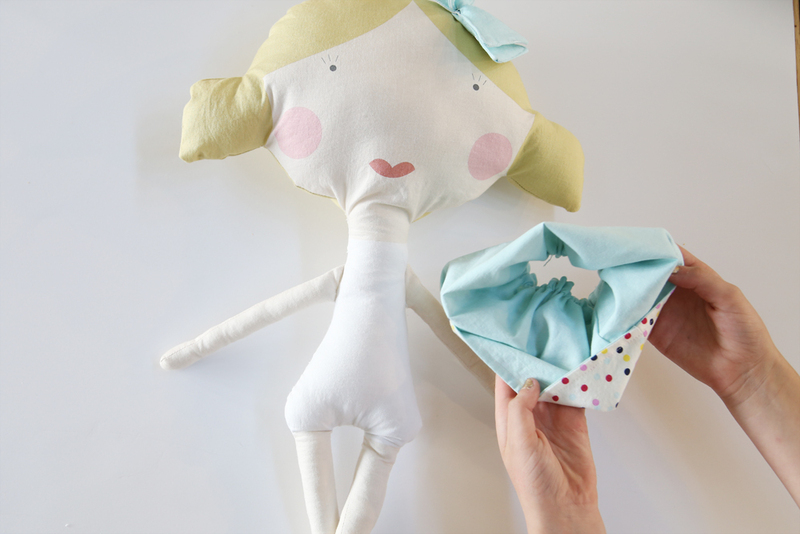 In making the girl doll, she comes with directions for a regular skirt. 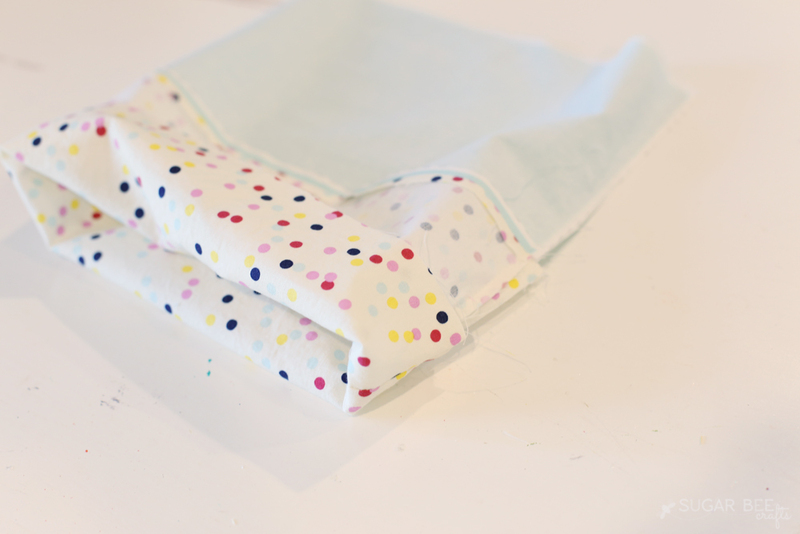 I wanted to add a little more, and so I made a reversible skirt – it’s so fun, and kiddos love having options! 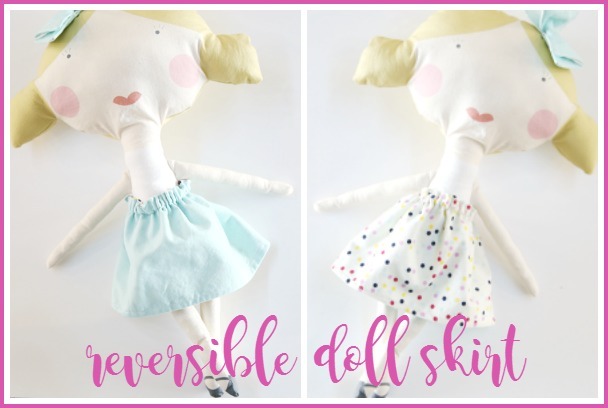 And so today I have a quick tutorial on how to make a Reversible Doll Skirt – and really, you could just size it up and use this same technique to make a reversible skirt for a little girl as well. Let’s get started! Look, I made my first GIF – awesome, right?! 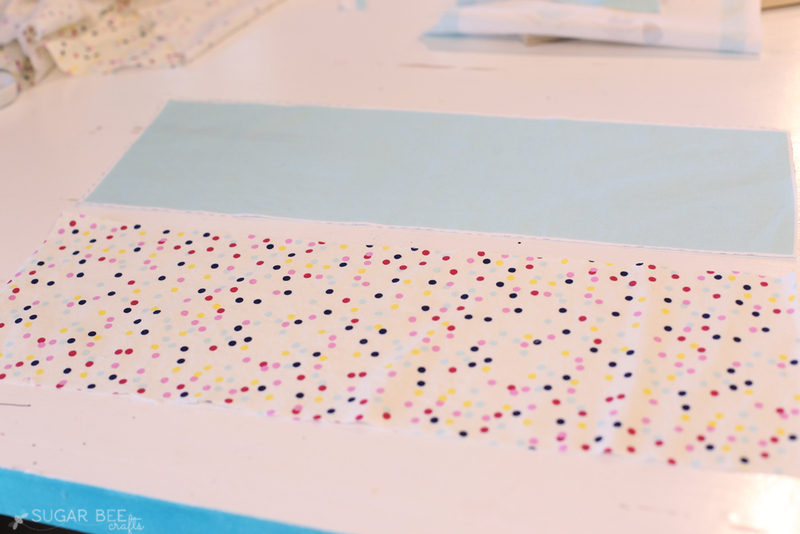 This is how the fabric comes, you simply cut out the shapes and follow the sewing directions. Love that! The pattern came with a rectangle of fabric for the skirt. 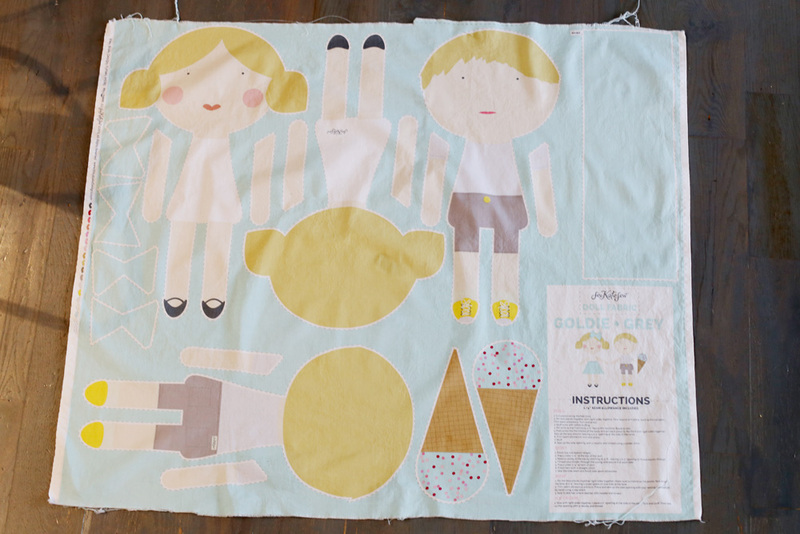 (if you’re making your own, cut a rectangle according to the size of your doll or girl – top to bottom is how long you want the skirt, then horizontally is enough to wrap around the doll/girl and then doubled). 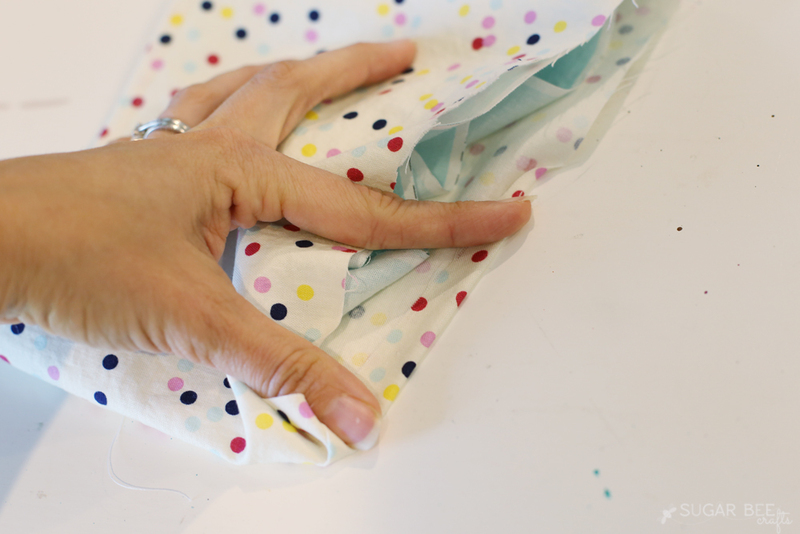 You now have a “tube” of fabric – turn it right-side out until the fabrics are wrong-sides together. Your seam from the first step will be your bottom hem. Iron it into place then topstitch all the way around that edge. Now, for the top edge, fold under (and to the inside) both layers of fabric 1/2 inch and press into place. 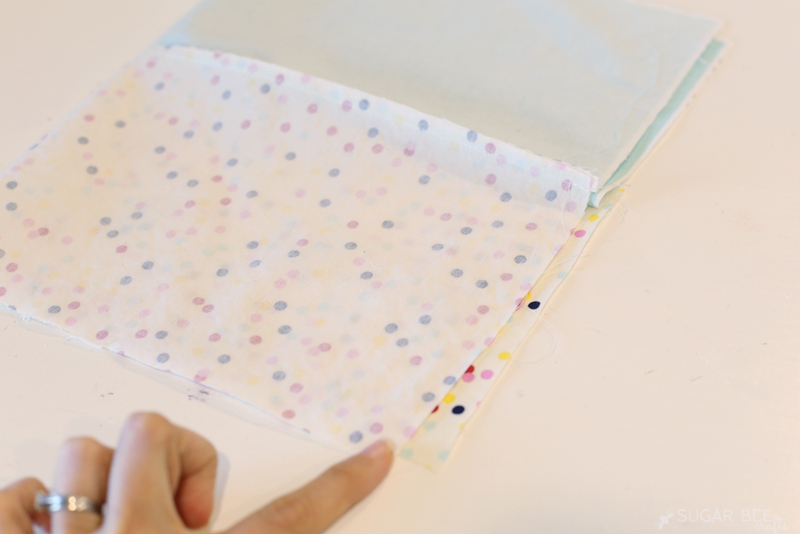 Once hemmed, line up the layers of fabric on the top edge and topstitch all the way around. Then sew another line of stitching 1/2 inch below that. This will create a casing. 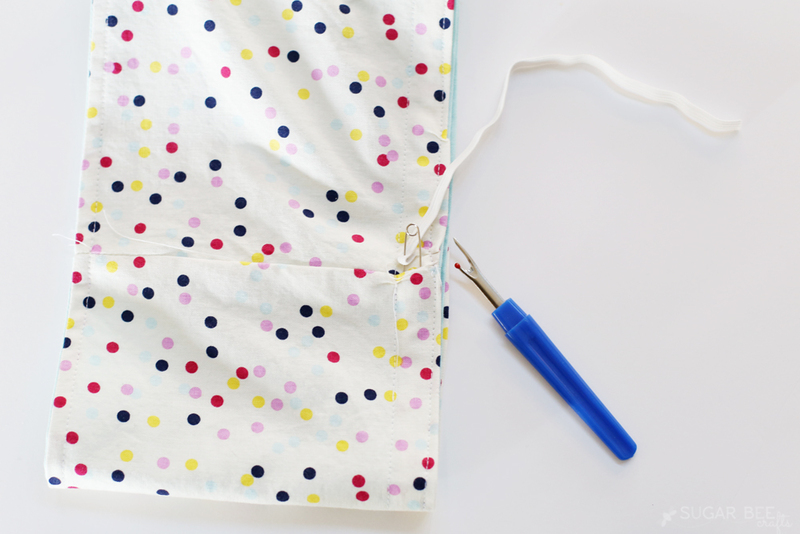 Use a seam ripper to open up the side seam between the stitch lines. 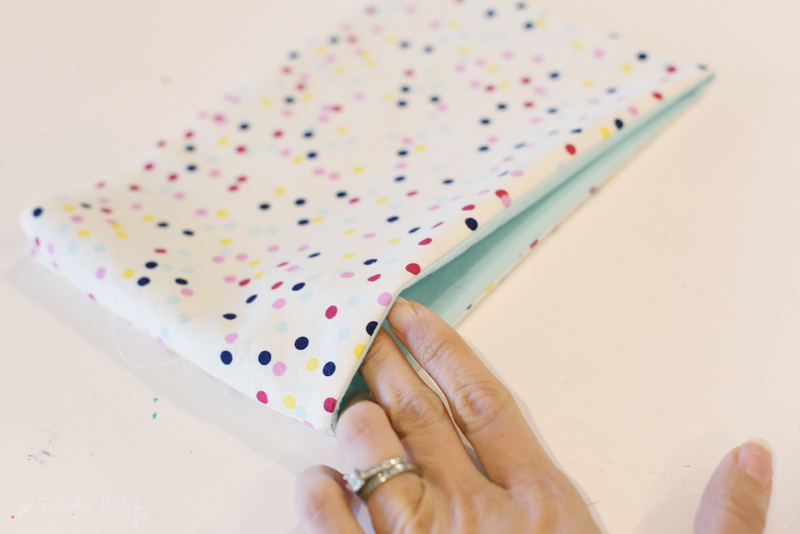 Insert the elastic through that opening, sew elastic, and then hand-stitch the opening closed. That’s all there is to it! and voila, reversible skirt!! All the seam allowances are hidden, so it can be flipped to either side. So fun! The cutest doll skirt! 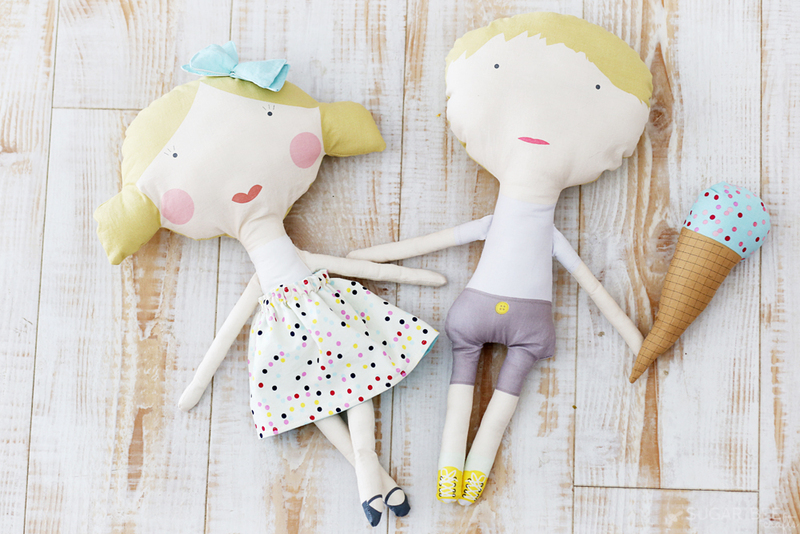 Sewing is one of my passions and this post just filled my heart with joy! Thank you for sharing this. It’s always fun to have options! Right? Ha ha..